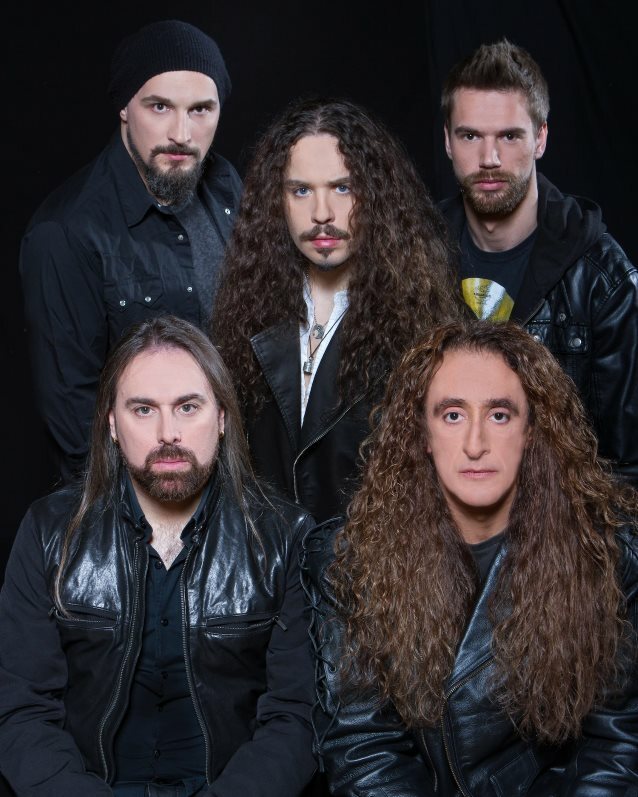 Having recently announced the addition of new vocalist Giacomo Voli and drummer Manu Lotter, Italian symphonic power metal kings RHAPSODY OF FIRE are working on their upcoming release, a 75-minute-long album revisiting a selection of songs written and produced during the first five years of the RHAPSODY era (1997-2002). Yes, indeed: 14 epic tracks completely re-recorded. All drums, bass, guitars, keyboards, vocals, epic choirs, opera choirs, and numerous classical instruments have been recorded already. The album will be mixed by Seeb Levermann (ORDEN OGAN). "To re-record old historic tracks is not that common among bands because there is probably a lack of self-confidence or because, for some musicians and fans, what is part of the past should not be touched. We do not agree," RHAPSODY OF FIRE keyboardist Alex Staropoli says. RHAPSODY OF FIRE is different and absolutely confident to achieve a stunning result. The precision of playing, the new vocal approach of Giacomo, the modern technologies, a careful mix and great mastering will give the songs a new incredibly great sound. Of course, everything is done with immense dedication, passion, emotion and respect for these beautiful tracks co-written by Staropoli and the band's former guitarist Luca Turilli. "We already had the chance to listen to some rough mixes and we can clearly say that the result goes far beyond any bright expectations," Alex says. "The result is just fantastic. We can't wait to start the mix!" The album will be released in the spring.